People advocating for expanded access to medical cannabis during a July Fourth parade in Belton, Texas in 2017. A Texas lawmaker who previously passed legislation creating limited, legal access to medical marijuana now wants to expand who is eligible. State Rep. Stephanie Klick, a Republican from Fort Worth, was behind the 2015 Texas Compassionate Use Act. It permits patients with intractable epilepsy to access low-THC cannabis oil. Klick told members of a House Public Health subcommittee Thursday that her new bill would allow patients with any form of epilepsy to access medical cannabis oil. “We also added multiple sclerosis to the list of conditions; the scientific data is fully developed for MS. Even the European and Israeli FDA equivalents have approved cannabis treatments for these conditions,” Klick said. Klick’s measure would also allow patients with spasticity to use this treatment. Other lawmakers have filed bills this session that also seek to make medical cannabis oil available to patients with autism, Crohn’s disease, and post-traumatic stress disorder. The Texas Attorney General’s Office is refusing to turn over documents Congress requested on the state’s controversial voter roll review. The U.S. House Oversight and Reform Committee is investigating the state’s attempts to identify possible noncitizens on voter rolls. That effort, spearheaded by Texas Secretary of State David Whitley, flagged more than 90,000, but thousands were naturalized citizens who are eligible to vote. 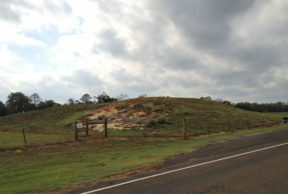 The AG’s Office told the U.S. House Committee in a letter that it has no jurisdiction over this issue, and plans to process the request as one under the Texas Public Information Act. That gives state officials broad control over what information can be withheld from the public. 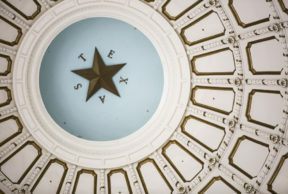 Texas Senators have approved two Republican-backed bills along party lines that would allow the state to override local rules on employment practices and benefits. The measures come in response to moves by cities like Austin and San Antonio to require employers of a certain size to provide employees with paid sick leave. Republican Sen. Brandon Creighton of Conroe authored both pieces of legislation. He said employment regulations should be set at the state level. “Because costly, burdensome regulations don’t just impact one city; they create a patchwork across the state, depressing growth, causing confusion, deterring business and certainly disrupting a predictable business framework that Texas is so proud of,” Creighton said during a Senate debate. Before a vote on one of the measures – SB 2485 – Democratic Sen. Kirk Watson of Austin told Creighton the bill could threaten local governments’ non-discrimination ordinances. Creighton said that was not his intent, so Watson pressed him to include language protecting those ordinances. “It would be pretty easy to put that in there and make sure your intent is actually captured in the law,” Watson said. Creighton ultimately declined to include Watson’s amendment. Both measures now head to the Texas House.